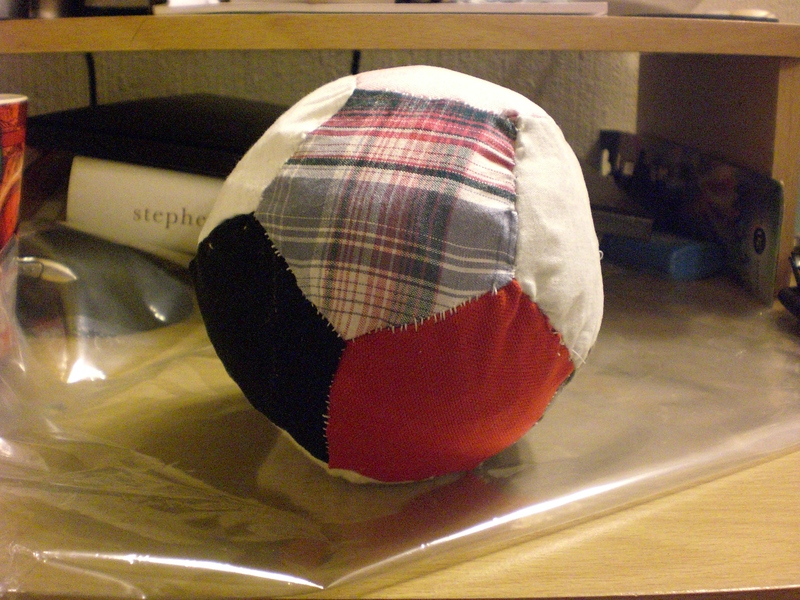 I’ve seen patchwork balls on the internet and thought they looked pretty simple to make, so I decided to make one out of bits of fabric I have in the cupboard (mostly old trousers). 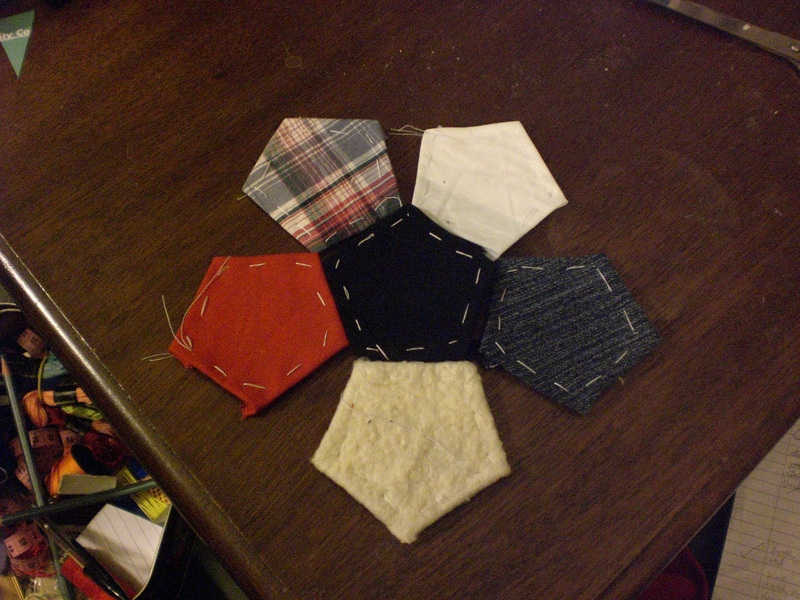 Sewing the pentagons together actually got pretty addictive! Now I’m going to hunt for other things to use pentagons for (a wall hanging) and I’m going to find reasons to give balls to my friends! The great thing here it that the balls are so easy to resize. I used ihanna’s tutorial which you can find here. 1. 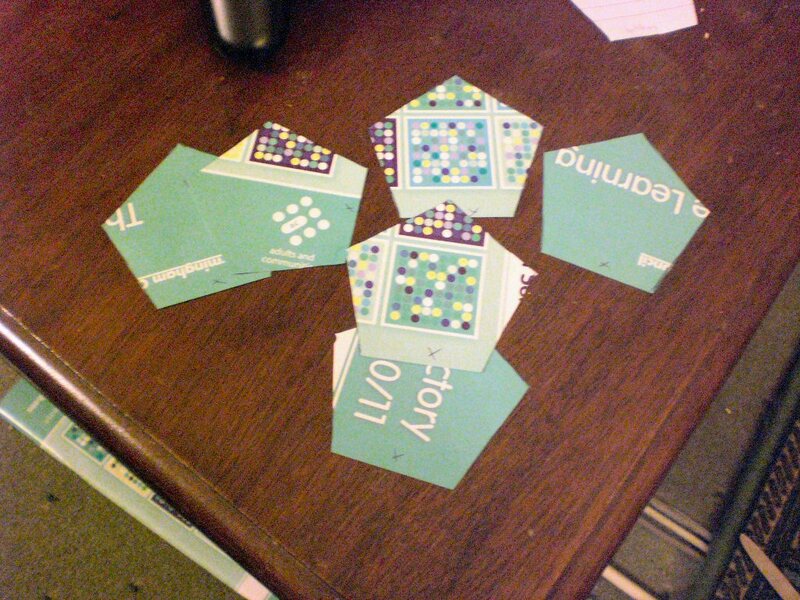 Firstly you cut out 12 identical pentagons from stiff paper (glossy magazine cover works fine). 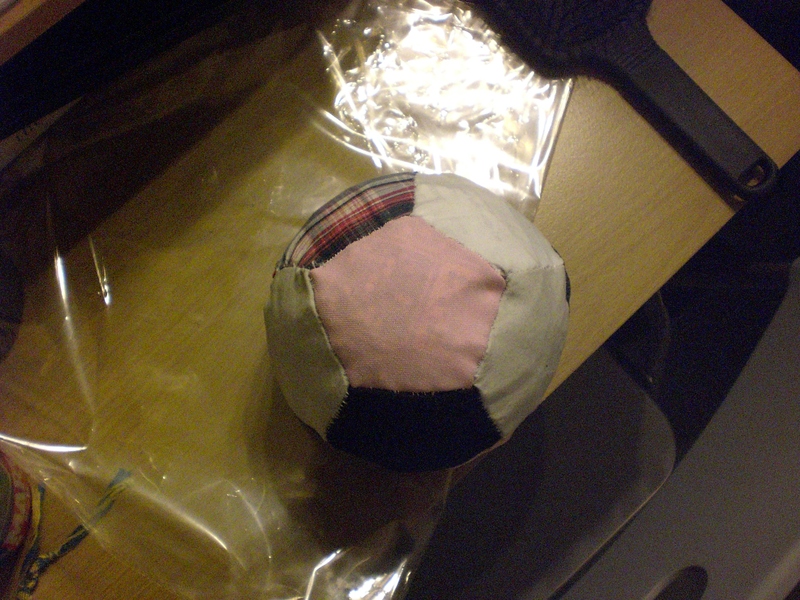 The ball is made by paper-piecing which means that the paper patterns end up on the inside of the ball! Tip: if you’re using a see through material think carefully about which bit of magazine you use. I learnt this the hard way! 3. Tack the fabric onto the paper. The tacking stitches will be removed later. The ‘outside’ will be left as is. 4. 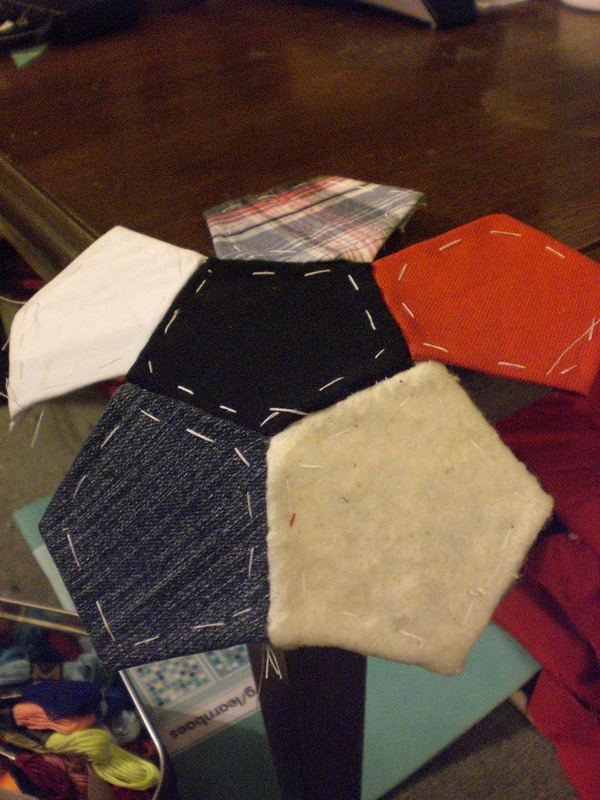 Taking one base pentagon sew 5 other pentagons around it so that the bottom edge of each pentagon is sewn onto an edge of the base pentagon. You want to sew these on the paper side. My ball isn’t pretty exciting, and it’s not too tightly stuffed. I do think it’s pretty good for a practice attempt! I’m already on the lookout for interestingly patterned fabric scraps.